thought the photo shoot was all about her. Actually, watch the guy with the tub behind her. 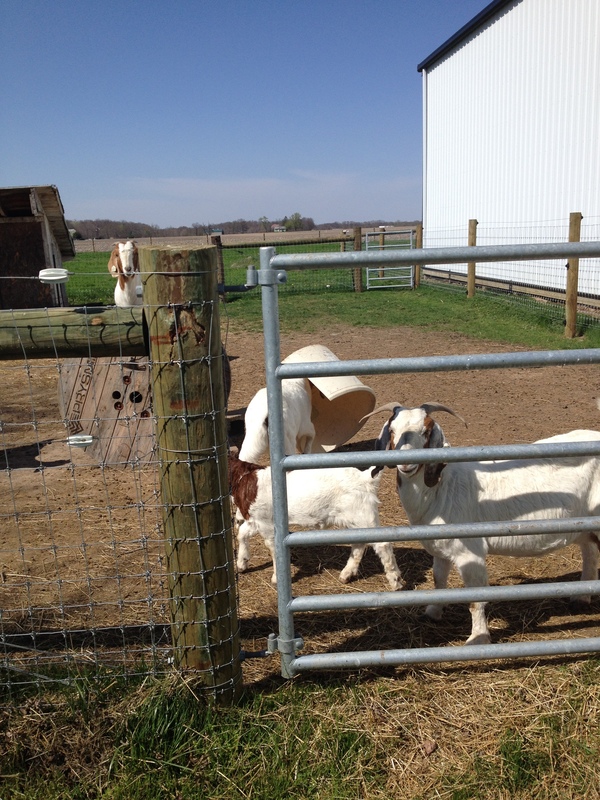 This entry was posted in Boer Goats, Country Living and tagged Boer goats, Country life, farm animal pictures, Humor. Bookmark the permalink. Was that bucket for their feed and they got all excited seeing you and tried to bring it to you? 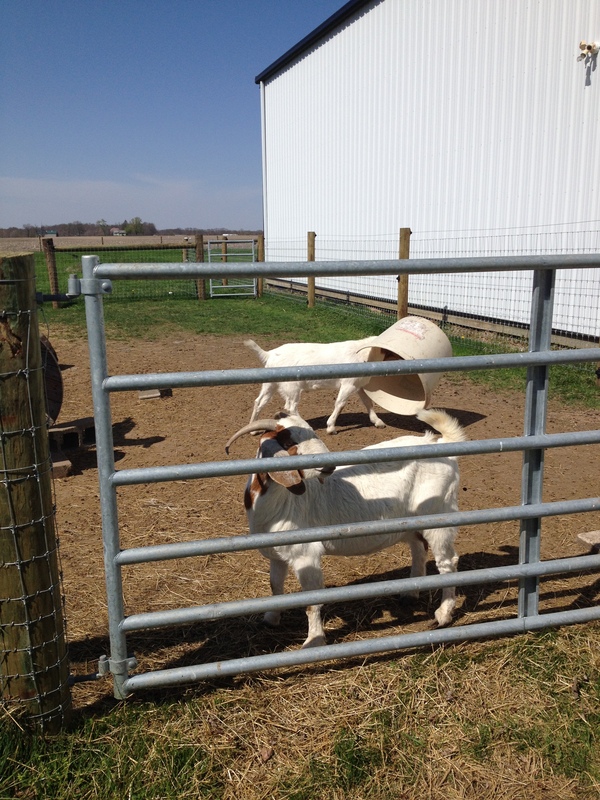 It’s an empty cow’s mineral tub that I put in the goat pen for them to jump on … he had other ideas for it! P.S. — I like the banner photo with the clothes on the line. Don’t see that much these days. Aw…he stole Daisy’s limelight! Cute pictures! I also love your banner: reminds me of my childhood days: every Monday, Mama washed clothes in our wringer washer and hung them on the line! Sigh. I’m lucky I guess I don’t HAVE to do it – I do it to save on energy from the dryer and because I LOVE the smell! I was lucky to see it, let alone catch in with my phone’s camera! 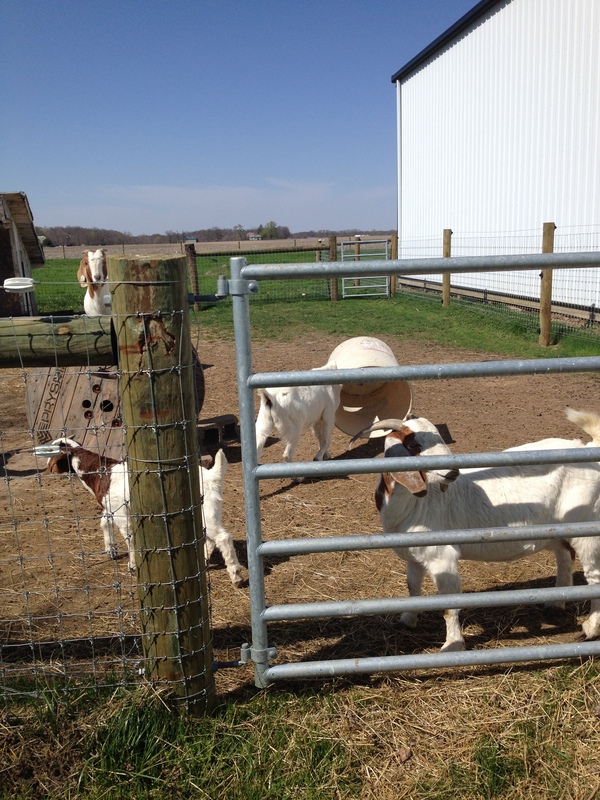 And one of the many reasons I want goats – ENTERTAINMENT!! 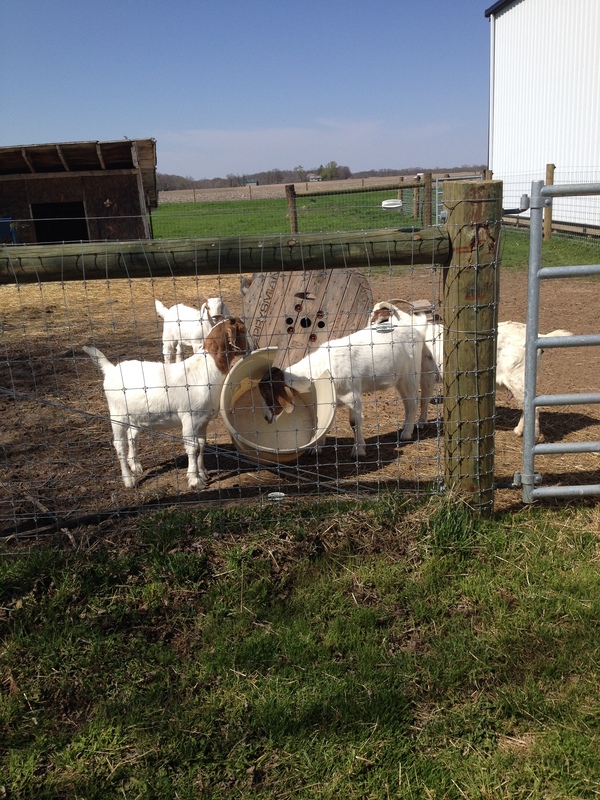 I got rid of cable when I got goats. Seriously! 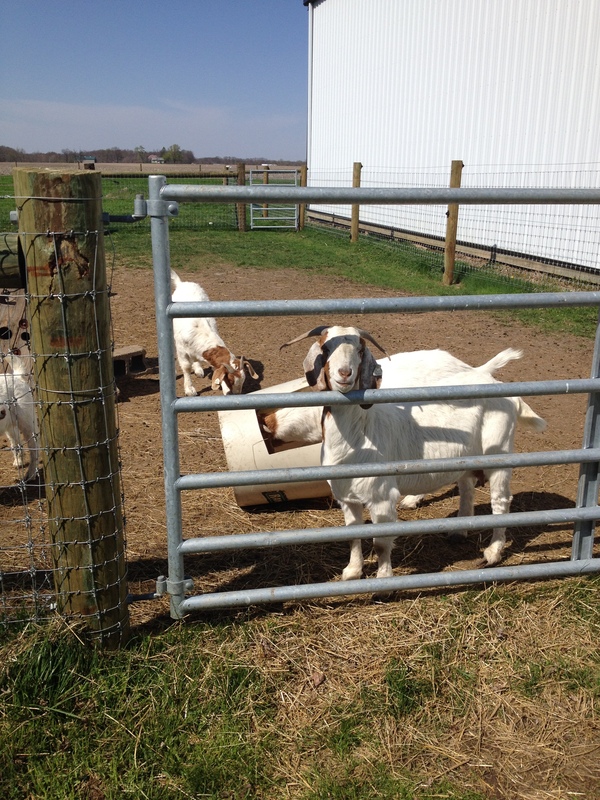 Your goats are very sweet. I really miss our little hobby farm. 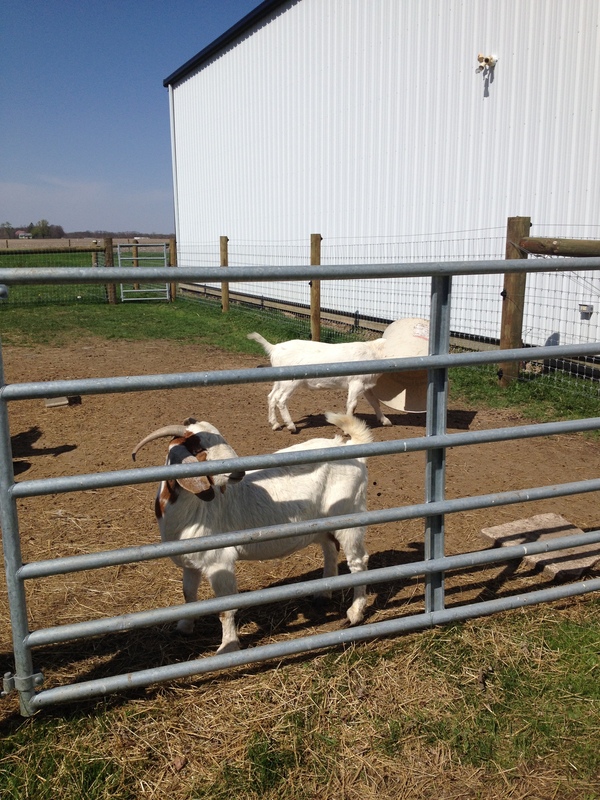 We had a dwarf goat—Billy the kid. I can imagine that you do miss your farm. Dwarf goats are adorable … but I don’t have any (yet). 😉 Thanks for reading. No, it doesn’t. I fall in the same crowd!